Farmers and crofters across Scotland have experienced one of the most unpredictable and challenging eighteen months in memory. For some still awaiting 2017 payments, that support is increasingly in need to safeguard their businesses. We are all now fully aware of the implications of the drought conditions we have just come through. Most livestock farmers are having to look at how they will get through the coming winter, it may be by having a ration planned out early enough or maybe looking at alternative sources of bedding and fodder to supplement what’s grown on the farm. Although many arable farmers are switching off the choppers on their combines, which is very much appreciated, there is still a real concern that supplies will be extremely tight going into the coming winter. One way or another the industry will pull together and get through this. NFU Scotland’s Next Generation Group has written to Scotland’s Cabinet Secretary for Rural Economy Fergus Ewing expressing its extreme disappointment at the recent news that the New Entrant Capital Grant Scheme will close this week. NFU Scotland is urging tenant farmers to make use of the ‘waygo’ amnesty, first introduced in 2017. Following the decision from Europe that gene editing is to be treated as a Genetically Modified Organism (GMO), President Andrew McCornick believes that some decision makers could do with a science lesson. Two NFU Scotland committees will welcome Scotland’s Cabinet Secretary for Rural Economy, Fergus Ewing MSP to their meetings in Grantown-on-Spey next week. 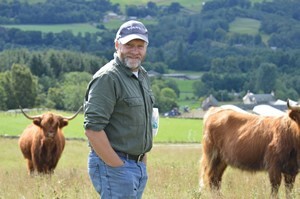 Livestock representatives from NFU Scotland, the Ulster Farmers’ Union and NFU Cymru say the prospect of the UK leaving the EU next March with no trade deal in place is worrying and would have serious implications for the UK’s beef and sheep sectors. 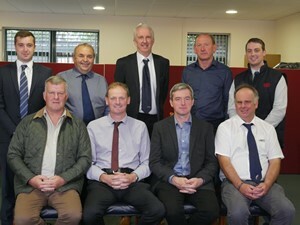 With just a fortnight to go until the deadline, NFU Scotland members are being encouraged to not let the opportunity to win a trip to the Oxford Farming Conference pass them by. 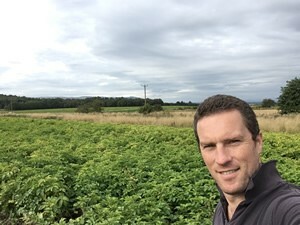 With the main tattie harvest looming, Scotland may have fared better than other parts of the UK and Europe with the extreme weather throughout 2018 writes Pete Grewar, chair of NFU Scotland’s Potatoes Working Group.